Nathaniel is an intellectual property litigator. His practice focuses on contentious legal issues confronting innovation-intensive industries, with an emphasis on patent and regulatory issues facing pharmaceutical and biotechnology companies. Nathaniel has represented numerous companies in the life sciences, technology, energy and gaming industries in patent proceedings across Canada and pro hac vice in the United States. He has also litigated trade-mark, copyright, trade secret and other commercial matters. Nathaniel was lead counsel for the Children’s Hospital of Eastern Ontario, in Canada’s only patent litigation involving claims to human genes, representing the hospital pro bono. He has also advocated on behalf of life sciences clients before numerous regulatory agencies in Canada and the United States on intellectual property, regulatory approval, pricing and reimbursement, and antitrust matters. Nathaniel is a registered patent and trade-mark agent. In addition to his role as advocate, Nathaniel provides strategic advice on intellectual property portfolio and risk management, including in the context of IP transactions. He has assisted companies in a variety of innovation-intensive industries, including early-stage businesses, by coordinating intellectual property, regulatory and commercial strategies. 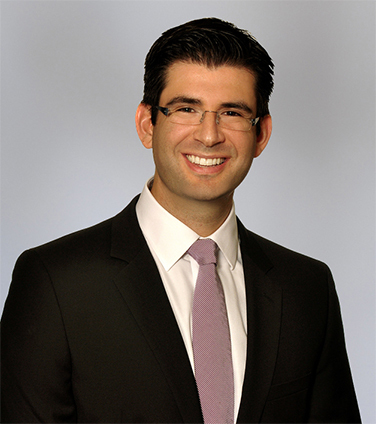 Nathaniel also has a depth of experience advising on international trade-related intellectual property matters. Conference Co-Chair, Canadian Institute, Pharma Symposium. March 31-April 1, 2015. “The Fight against Counterfeit Drugs: Understanding the Problem and What We Can Do About It,”, Webinar for Pharmaceutical Sciences Group Members. October 23, 2014. “CETA and TPP: How Trade Agreements are Transforming Canadian IP”, Presentation at Intellectual Property Institute of Canada 88th Annual General Meeting. October 17, 2014. “Drug and Devices Hot Topics: Recent Patent Developments”, Panel Presentation at Food & Drug Law Institute’s Canada Conference. May 15, 2014. “Where Regulation meets Litigation: How Courts are Used to Resolve Drug & Device Disputes”, Presentation at Pharmaceutical Sciences Group Annual Meeting. May 13, 2014. “Patenting Life: Where Do We Draw the Line?”, Presentation at University of Toronto Faculty of Law Technology & Intellectual Property Law Conference. March 5, 2014. “IP Management”, Presentation at MaRS Discovery District Entrepreneurship 101 Lecture Series. November 20, 2013. “Pharmaceutical Price-Setting: Nowhere to Go But Down?”, Presentation at Canadian Institute, 7th Annual Drug Pricing & Reimbursement Conference. June 5, 2013. “IP in the 21st Century – How International Trade Agreements are Transforming Global IP”, Webinar for Intellectual Property Institute of Canada Members. May 22, 2013. “Patent Wars”, Presentation at University of Toronto Faculty of Law Technology & Intellectual Property Law Conference. March 6, 2013. “The Real Drug War: Pharma IP in International Trade Negotiations”, Presentation at Canadian Institute, 11th Annual Forum on Pharma Patents. October 29, 2012. “Biosimilars: You Ain’t Seen Nothing Yet”, Presentation at Canadian Institute, 6th Annual Drug Pricing & Reimbursement Conference. June 11-12, 2012. “Pharmaceutical Anticipation and Obviousness”, Presentation at Canadian Institute, 10th Annual Forum on Pharma Patents. October 26, 2011. Canada's IP strategy is inspired, but will it inspire innovators?